Myth #1: There's only one perfect mentor. Myth #2: Mentorship is a hierarchy. Myth #3: Executives don't need mentoring. Myth #4: Career advice can only come from leaders. The key is receiving the right kind of advice from the right person at the right time (you never know where a conversation with someone at the office holiday party may lead). Your boss can still be your mentor, but the good news is they no longer need to be. In today's connected world, a symbiotic exchange lies at the heart of modern mentorship. Look for a mentor not only for what they can teach you, but also for what you can teach them, and "share advice more Twitter-style and less like a psychotherapy session." When people think of mentoring, they often visualize a seasoned executive counseling a young professional on their career path, but this has completely changed. Reverse mentorship is not a one-way, bottom-down dialogue, but a back and forth exchange of information, experiences and ideas. Talia, my 23-year-old "digital native", has taught me more about commitment and passion than I could have ever imagined from someone so young. She's shared her savvy, millennial way and entrepreneurial spirit to help me expand The Girls' Lounge. In exchange, I have shown her how to launch a new company, build a network of supporters and find reserves of energy she didn't even know she had...and most importantly, to love what you do! Mentors themselves aren't extinct, only the models under which they existed have evolved. It's now easier than ever to look to our peers for guidance. Your network is the new mentor; it's not person-to-person, but person-to-people. Hierarchy today is increasingly flat and this provides an environment ripe for collaboration. 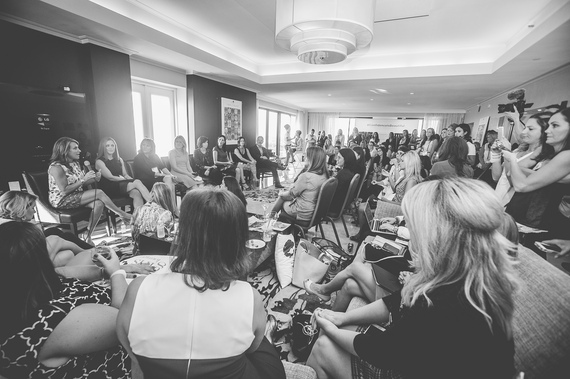 I've brought group mentorship into The Girls' Lounge by hosting conversations where I invite influencers from across the media spectrum to share their experiences. From pioneers like Charlotte Beers who was one of the first women to run an ad agency to Linda Boff, CMO, GE, who said when hiring she never aims for gender, but just to hire really good people, to 20-something entrepreneur Hannah Bronfman, star of Hannagram, who has her own style series on POPSUGAR. Hannah graduated "during the wake of no jobs," and said the experience enabled her to become quite ambitious, because there simply wasn't any other option. Leaders like Carolyn Everson, VP, Global Marketing Solutions, Facebook have taught me that family comes first, second and third. Wenda Harris Millard, COO, MediaLink, hit home when she said, "There's no such thing as work/life balance. You have one life with many dimensions." And Gail Tifford, Vice President, Media and Digital Engagement, Unilever North America, leads her team with generosity and fosters a culture of care. We all have something to learn from each other. Age or title need not apply, only passion and the willingness to share. Regardless of the type of mentorship you choose, this remains true - one alone will never create anything sticky. In The Girls' Lounge, our community is our mentor model. We mentor up, down and sideways, as we connect today's and tomorrow's leaders through pairing and sharing. If we could've done it alone, we would've by now. As we enter the New Year, let's embrace the changes we want to see -- and give the gift of sharing this holiday season.